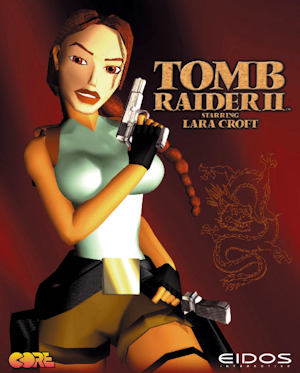 Lara Croft returns in Tomb Raider II to discover the secret of the Dagger of Xian. The ancient Chinese believed that whoever recovered this mythical dagger would gain power beyond belief as long as they had the courage to plunge the dagger deep into their heart. Lara's journey starts at The Great Wall of China but it's not long before she's globe-trotting in hot pursuit of clues that will lead her to the ultimate goal. However, she's not alone in her new adventure: this time there are others who have a seemingly fanatical interest in the dagger. Featuring an enhanced Lara Croft, complete with costume changes, the second game of the franchise combines the classic gameplay of the original with an array of enhanced exterior settings, new moves, new weapons and a plot that'll have Lara twisting and turning around every corner.